Morning Glory Designs: Quiltmaker’s 100 Block Blog Tour is Here! This is a great block! Love it very much! Especially I love your first version of the quilt combined with the two patterns. Wow! Thank you so much for the free pattern. Love the sunny version! And the one with Kaffe Fasset fabrics is just wonderful! Love, love, love the block and all the settings. I loved the setting for a "summertime" quilt, but my second choice would be the setting in blues with only your block with the brighter blocks in the middle. BTW, congrats for being chosen. Great block! I really like the summer night setting. Thanks for the freebie...I hope I get some time today to play with it! Wow, Reeze. What a post! I love both of your blocks even if they didn't print both of them in the magazine. I can't believe all the different things you did with the block and the settings. (I'm getting better with EQ but have a long way to go!). BTW . . . I cast my vote for the summer night quilt that is set on point. I've been looking for something for a quilter friend. Her favorite color is orange. I'm going to go through my stash to see if I have enough orange and yellow to make the mini. I wonder if I can get it finished by Christmas. I like it a lot and I think she will, too. I am amazed at the beauty of all the block settings. Very difficult to select just one as my favorite. Love the color combinations, the red/yellow; the blue one; the yellow/green sunshine. All so lovely. Congratulations on the magazine entry as well. I like both Blocks! 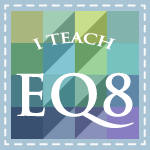 Thanks for sharing the links and turtorial for how to with EQ7. Just got the EQ6 uploaded, need to upgrade...huh? Impressive block. It's always so fun to see someone play with a block and explore all the setting options. #1 is my favorite by far, two block quilts offer so many design possibilities. I love your block... and I love the way you played with the settings. They are all great, but my favorite is Design 6: Dancing Blue Stars. Thank you for the giveaway. I like them all but I like Design 1 Stars and suns the best. Sunny Stars is gorgeous, I am going to try to make it shortly. I love both blocks. I think my favorite design is number 8 Stars in my Eyes. Love your block! I love the one where it is set on point (5)! Oh gosh, it's so hard to choose. I think my vote is going to go yo Stars and Suns. Congrats on getting your design published in the mag. Oh of course the Kaffe star. I don't think I would be fast enough with a pattern, but printed it to play with it - thank you. Congratulations on your awesome block being featured! I love the Design 4: Kaffe Stars & Design 5: Summer Night. Design 1 - Stars & Suns = love.love.love!!! I love the #5 Summer night. reminds me of an old fashioned kaleidescope I had as a kid. And those are my favorite colors too! Great block - design 4 would have to be my fave. Go with your gut they say and this version 'popped' for me! What an amazing block! My favorite design is #2. Love the secondary designs and the border. #1 is my favorite design! Wonderful block and thank you for the pattern. 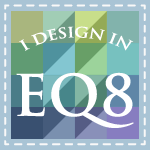 Love EQ too. Creative block! I like Design 2: Desert Stars. Thanks for the chance to win! What a tough choice! I'd have to go with Summer Night - but only slightly more than Desert Stars - I like the block put on point. Very cool! Absolutely stunning block! I love all the options, but my favorite is #6--dancing blue stars. Design 1 ,because I like your winter block, and the two blocks together are a masterpiece. I'm amazed how people can put so many fabric colors together and create such a gorgeous quilt. Now I must go and try to do the same. Love secondary designs you can get from your block. I love design #one but they are all great, hard to choose just one. Thanks for all the options and the chance to win. OMG! That is just too much inspiration for one gal to take in the morning! I love them all but my favorite is #3 mini desert star...love that border. So I was thinking it looks too hard for me, but the idea of putting it on interfacing is very intriguing...I'm dying to try it! wow! so many wonderful designs! I like #4 in the blue and #6. I love the block and setting number 6. You have a great eye for design. I'm in awe! I don't think I could choose just one - so Desert Stars and Suns and Kaffe Stars would be my favorite, with Kaffe Stars a little bit more favorite. I am partial to #5. I think it is a beautiful setting that leaves some nice spaces for some fabulous quilting to bring it over the top. I am very taken with your Design #1. Great EQ designing! I like Design #1 best. Congratulations! And thanks for the giveaway chance. Desert Stars #2 is the best! The borders are especially gorgeous. The colors, the design, yup, great! Wonderful block! My favorite design is #1...love the borders:) Thanks for the chance to win! It' a really hard decision to make. I like them all. I guess I'll have to say I like # 1 - Stars and Sun the best. I just love Summer Night. Absolutely gorgeous. 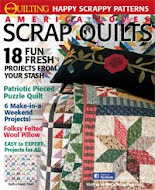 I'm so looking forward to this Quiltmaker issue, even if I have to buy it. Your designs are the greatest! I love the desert stars best! Design #5 is my favorite! Wow, so many neat ideas. I like Design three the best. I like making smaller quilts as table toppers. I'll be adding your blog to my Google Reader. Wow! It's hard to choose, but I'll go with #5 Summer Night. My favorite is Sumeer Night #5. They are all very nice. I've got 3 favorites. #5 Summer Nights, #7 Jayhawk Stars and #8 Stars in My Eyes. Thanks for the giveaways and I will definitely be bookmaking your page. Such great ideas. My favorite is the Design 3 Desert Star Mini. In any setting, this is a great block. I like both the Desert Stars and the Dancing Blue Stars! Neat block! Love the Stars & Suns setting. I have to choose one? I love the Desert Stars #2. The borders finish it perfectly! Wow!!! I love them all but I think my fav is #1 Stars and Suns. They all look terrific, Reeze, but I like Desert Star Mini the best! You're so talented with your beautiful designs!! !I love your first design, Stars & Suns the best! Thanks so much for the chance to win!!! Wow...one inspiring quilt setting after another! Your block is gorgeous, and I love the many options you've shared! I think Kaffe stars is my absolute favorite! AMAZING - I like setting #1 Designs and Suns. It is stunning. But then all of them are. What a versatile block. I love Stars and Suns best, just gorgeous!! Wow - I love design #1 - Now let see if i can make that pattern! Wow what an amazing post! What an amazing block!! I like the Summer Night setting. Thanks for including me in your giveaway. LOVE your block....tough choice on my favorite setting. Since I'm drawn to diagonal settings I love Design 5 (above): Summer Night or Design 7: Jayhawk Stars. Thanks! My favorite is Design 1, Stars and Suns. I like the colors and I think the chunky outer border is a nice compliment to the blocks. Its fun to see all the different options. Oh...my favorite is design #5. Love the saturation of blue. Summer Night is my favourite. They all look great though. Difficult decision. I think #2 Desert Stars is my favorite, but it might be #6 Dancing Blue Stars. Either way thank you for the block and the giveway! I have to say that all of your versions are great. It's fun to see what just changing the color palette can do to a design. My favorite setting is #1 Stars and Suns. I love the Winter Sun block. I love summer nights!! It is stunning!! I love the summer nights quilt. the other settings were very nice too but this one was just wonderful. I like the #4 Kaffe Stars version the best. It is so striking. Thanks for the chance to win. I like design #1 Suns and Stars the best! Now you know this is a very difficult task. I'll pick design #1 but I like different things about almost each design option. I'm just gonna stop here as this could be a long post but do want to say congratulations on being included in the issue. Love 'em all, but my vote goes for #5 - Summer Stars. I LOVE the blues, and love the secondary stars that pop out in the light-colored background. More than anything, I'm so danged proud of YOU I could just BUST! I vote for Design 1: Stars and Suns (with Design 6: Dancing Blue Stars a close second). I like Design #4 the best. It really sings! I like all of them looking forward to the magazine. Wow! Just Wow! Picking a favorite was really hard. I'm going with Desert Stars. Great designs! This is my favorite because this is such a unique quilt design using his fabrics. Design #3 Desert Star Mini is my favorite. It's hard to pick just one, they are all great designs! I think I'll go with #3 Desert Star Mini. Thanks! I'm picking #1, but I'd make it in reds :) I loved them all, but it looks so hard to do. I'm a beginning quilter so anything that doesn't have straight seams is a little intimidating. What a beautiful design. Congrats on making the magazine! Summer Nights is my favorite!!! Thanks for the giveaway!!! Beautiful block. I really like design #4. Sun and Stars setting #1. I just love the overall look of the two blocks together. Thanks for the chance in the giveaway. I like Design #8 Stars in my Eyes. Thanks for the chance to win a wonderful book. Design Summer Night is my favorite. Love your block. Look forward to making a quilt with it. Would love to win a magazine. I like all your various settings, but believe I like "Summer Night" the best. They're like stained glass! I love them all, but I particularly like #8. Oh WOW! I LOVE your block as well as the other not chosen for the magazine. I really like all the other quilt layouts but Design 1/Stars and Suns is my absolute favorite. That's beautiful. For the other option to win I'm out on that as I just had hand surgery and don't have the use of my right hand at all sadly. Great settings and #1 is my favorite. Wow - your quilts look like they are in a kaleidoscope! Love them all! All the combinations are lovely, but my favorite is design 1 with the Stars and Suns. Wow, that was such a fun post to read. Thank you for all the instructions and information. My favorites were the Kaffe Stars and Mini Desert version. I'm a sucker for smaller quilts. Congratulations for being included in 100 Blocks. Congratulation and niffy block. I like the design 4: Kaffe Stars. I like Design 2: Desert Stars. Wow what a versatile block! They are all so different, but look great. My favorite is #4 with Kaffe's fabrics. It's hard to pick my favorite because they are all great. I like the colors in Kaffe's Stars. My favorite setting is Summer NIght. My favorite setting is the desert star mini!! Love it! Thanks for the chance to win. I like Design #1 - Stars & Suns the best. Awesome! Beautiful work! My favorite is Design #1 Stars and Suns. I think the two blocks are stunning together. Thanks for sharing your knowledge and ideas. I bookmarked your blog, it's great! It was an easy choice for me: Design #6 Dancing Blue Stars just pulled me right in! It's beautiful! How does one choose a favorite?! They're all gorgeous! Well, it's between #1 and #6.... yeah, #1 gets my vote! Terrific block! Congrats! I love your block and I love the way you played with the settings. They are all great, but my favorite is Design 5 Summer night. Very cool! I like design 2 - Desert Stars. I love the Kaffe one. Very pretty. I love the summer night block- they all are pretty to look at - Thanks for the opportunity to see it in so many different variations.Playing is a very important part of playing. Wow! How fun. I like #1, 5, and 6. Congratulations! Love Design 1 for the colors and the way it reminds me of a kaleidoscope. Wow! What an absolutely amazing block. I like #5-Summer Nights but my favourite has to be #7-Jayhawk Stars. I seem to have a thing for on point settings. I am impressed by what you can do with EQ. All the different settings are so bright and lovely. I like #1, love the colors. Thank you for your freebie. Stars and Suns and Stars in my Eyes are my favorites. The others are too busy for me. The block is beautiful. You interfacing technique is very clever. Design 9 sunny stars is my favorite! I love this block on point it creates a nice diagonal secondary pattern. Thank you for sharing this with us! I like number 5 with Summer Night. I love how both stars just float in the sky :) You're blocks are beautiful. Congrats being included in the "100 Blocks!" Incredible work, Reeze, and nearly impossible to choose a favorite. However, I must, so I shall say "Design 2: Desert Stars" is my first choice. Running a close second is "Design 5: Summer Night". Thank you for everything. I see you follow a number of the same blogs that I follow, and now I'm following yours. ;) Thank you again for your lovely comments.